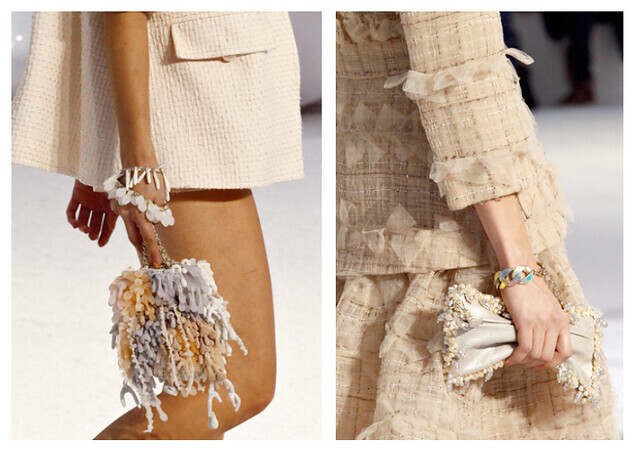 I Immediately fell in love after seeing those conch shell bags. 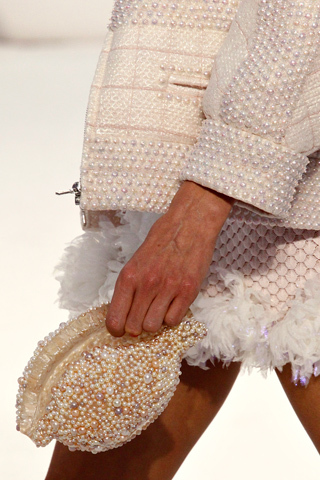 Chanel made another statement again, and begun fashion world talking. Are these bags for real? Can we actually wear them? If they are real, I can't wait to touch them in a Chanel store and hopefully own the one with pink pearls. 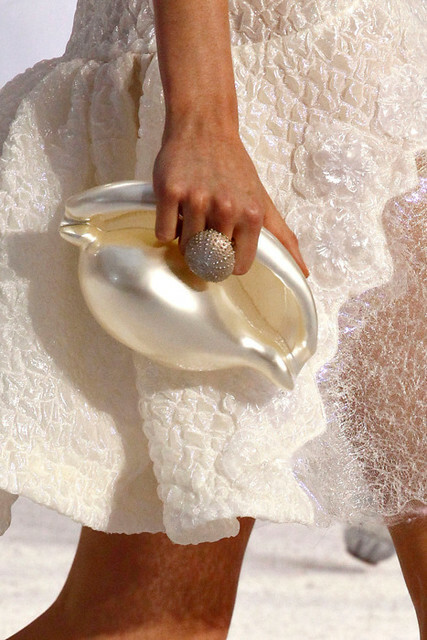 These bags had me thinking: how did the designer (guessing Karl Lagerfeld or one of his super talented assistants) get the idea to turn a conch shell into a fab bag?! What was he thinking? Then, I imagined him taking a sip of his Whiskey on a Bahamas, Turks and Caicos, or probably St. Barths beach, where conch shell is at every corner and every beach. Karl, holding a conch with his hands and lifting it to the sky saying "voilà, j'ai une idée". I loooove them! I want one with some kind of turquoise pin or small detail. 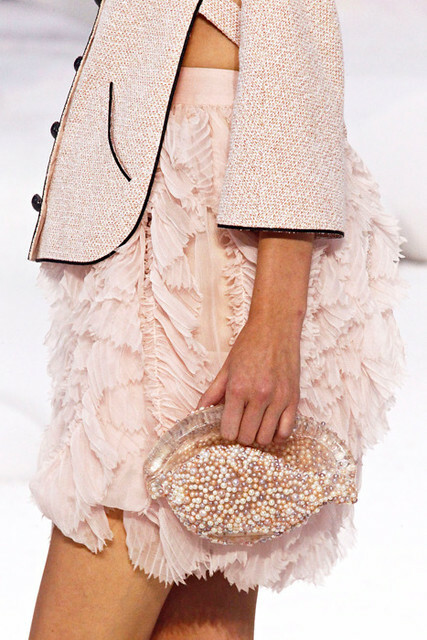 It would be a gorgeous mix of colors between that, the pale pink and pearl. accounts is simple and simple.